What do You Plan to do with Joe the Plumber’s Money? If you’re like me, and you’ll be one of the many people who will allegedly benefit from Obama’s spreading of the wealth, what do you plan to do with your ill-gotten gains? I’m thinking I have a moral obligation to do some bathroom remodeling and pay a plumber to come do it. I’m a republican, a real one, not a McCain, Bush, Cheney, et al neo-con republican. I’m conservative. I would vote for Hillary Clinton over John McCain, and after this recent comment, I’d vote for Hillary Clinton over many other candidates too. I firmly believe that the willingness of our leadership to back Israel is one of the most important topics we need to discern before an election. 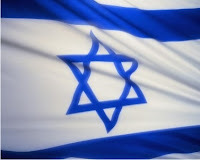 God said he would bless those who bless Israel, and curse those who curse Israel. This is the kind of backbone I want in a leader. Obama is a pansifist (hat tip to Miss O’hara for that word) of the highest degree, and far to weak and ideological to be the President during this stressful time. We are being held hostage at the pumps by middle-Eastern countries with questionable ties to terrorism. We have to know where we draw the line, how far OPEC can push us. I think Sen. Clinton knows that line, after reading that she will NUKE Iran if they attack Israel. Bravo, Mrs. Clinton. We disagree on many things, but you won me over on what matters most. This was said in retort to an Obama representative firing off several incredibly defensive jabs about Obama’s “enemies” accusing him of anti-Semitism. All baseless, of course, since his Pastor only believes that Israel is guilty of state-sponsored terrorism against…well, terrorists (read Palestinians). So obviously we should all trust Obama’s unquestionable loyalty to Israel. And apparently the libs are in an uproar over this statement. Why? Of course Israel has the right to defend itself. And we, as a nation that values liberty and freedom, should not only respect that, but encourage it, when it defends itself against the evils of muslim fanatical rule. Even McCain’s rep didn’t express such strong words. He did, however, say that he promised to never “push Israel,” which I assume to mean that McCain would not coerce Israel into giving up land, or into an unfair “peace” arrangement, etc. Which makes me more comfortable than his past rhetoric on Israel’s need to back off some of their positions. B Hussein Obama, on the other hand, has said he will meet with President Ahmadinejad of Iran, and possibly with leaders of other militant Islamic terrorists groups and discuss peace. This tells us a whole heap about his alleged support of Israel. If the enemy of my enemy is my friend, then surely the friend of Israel’s enemies, is also an enemy of Israel. Our choice between Obama and Clinton will be over long before the November elections, and I’m not certain that there exists a discernible difference (at least judging from public statements) between Clinton and McCain on the topic of Israel. However, I cannot encourage anyone who loves and supports Israel enough…flee from B. Hussein Obama. He will be an enemy of God’s chosen people…and that certainly makes him an enemy of Christianity (if his pastor shouting G**D*** America from the pulpit wasn’t enough to convince us of that). For me, one of the most important issues in voting for people to run our country is their stance on Israel. This is one of the reasons Ron Paul was such an attractive candidate for me. While his policy was technically non-interventionist, I think that would actually help Israel. Our “Peace” efforts have largely crippled and hindered the nation, in my opinion. If Iran shoots missiles at them, they should be able to respond to what any sane person would call an “Act of War.” But we’ve restrained them several times now, in just such instances. However, I’m not righting this about my opinions. I’m writing this to inform you, my loyal readers (all 2 of you!) about the candidates opinions. I’ll start with McCain. John McCain has been turning up his pro-Israel rhetoric lately, mostly in an effort to bridge gaps with the evangelical base of the Republican Party. Christians LOVE Israel. Typically, the most devout Christians are republican. And most of us hate John McCain. Well, hate is a bad word. We are Christians after all. We love him, hate his politics. How about that? The Oren mentioned here is the reporter, defending his journalistic integrity. He even invited McCain to take a polygraph test with him, to see who was lying about the interview…the interview which McCain never questioned until this past weekend. It would seem that McCain expects Israel to concede much of its disputed territories to Palestine, which would include Bethlehem, and much of the surrounding area of Jerusalem. This is the Palestine that is run by Hamas…the terrorist organization. To be fair to McCain, he says that talks can’t happen until Palestine shows they are committed to non-violence. In a related statement, McCain also was overheard booking a ski vacation in hell. So, is McCain FOR Israel? My answer is, “Meh.” He’ll do. He’s better than Obama. He’s about equal with Hillary, whose stances I’ll be detailing in another blog. He does seem to value Israel as an ally. And I doubt he’d stand for much Israel bashing. But he’s not the staunch supporter that Paul or Huckabee would’ve been. He’s very comfortable with negotiating (or forcing Israel to negotiate) with the Palestinians, and having Israel fork over their God-given land to terrorists. 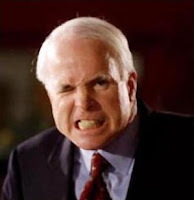 You all know my thoughts on a John McCain vote . . . they haven’t changed. Michelle Malkin and Rush Limbaugh, among others have brought a little hope to me lately, though. The Presidential Election is pretty much done, from a conservative viewpoint…but the fight is far from over. The President, himself, has no power to do much of anything (well, besides invading Middle Eastern Countries, it seems). Congress is the true power player…at least the one we should concern ourselves with. There is a new crop of conservative candidates coming into their own in elections around the country. McCain may not represent our viewpoints, but these people do. As Ms. Malkin points out, Obama was just a peon in the state legislature 4 years ago…and today is an increasingly likely Presidential Candidate. Many truely conservative young politicians fit this bill as well. Take a look at Jingal (I think that’s his name) that recently won the Governor race in Louisiana. Many are calling him the next Ronald Reagan! So, I am recanting my lamentations that led you to believe I would consider sitting out the vote in November. While I’m still not voting for McCain, there are a TON of people, at state and local levels, that do deserve my vote, and will be getting it. Information on these people are hard to come by sometimes, but I urge you all to look up as much as you can on the candidates in your states, and help mold the government of the future, if not the next 4 years. I h ave had a hard time with the presidential race, thus far. The man whom I truly believed represented the values and ideals that I hold dear was written off by the media months ago, dooming his campaign. The man that I’m told I should vote for because I’m an evangelical Christian (which seems to be a very unpopular group these days…thanks G. W.) is so liberal on every single topic besides gay marriage and abortion it makes my head spin. And the man I’m left with at this stage of the Republican Primaries is as far from conservative as Michael Moore. What is a Christian, who votes with his conscience as much as his intellect, to do? Ignoring the futile campaigns of Ron Paul (sad) and Huckabee (why is he still around? ), I’m left with three options, as I can see it. I can vote AGAINST McCain, and in doing so vote FOR the democratic candidate. I can vote for McCain, since I am a registered Republican, and hope that the conservative voices of the party move him more in line with what I’m looking for. Or, I can sit at home. Personally, I’m not seeing a morally clear-cut answer. 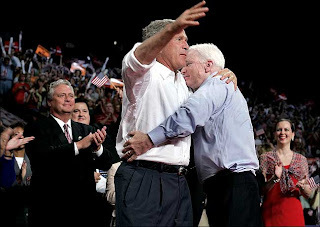 McCain is for Real ID, taxing the middle class out of existence, continuing to drown our country in a multitude of debt, stem cell research, limiting free speech, surrendering rights to privacy, flinging wide the borders with Mexico, supporting the global warming propoganda machine…basically everything I have eschewed voting for democrats for in the past. On top of all that, he is pretty much George Bush v2.0 Extreme Edition on all the stuff that has made me regret daily ever voting for Bush in the first place. Iraq for 100 more years?! Egad! Did Karl Rove track down Common Sense, find him huddling in a dark alley, shivering and alone, and put a bullet in his head? If so, I have the feeling that he wrestled the Constitution from his cold, dead, hands, brought it back to the White House, and destroyed it in a vile ritual with Bush, McCain, and several other RINO’s. 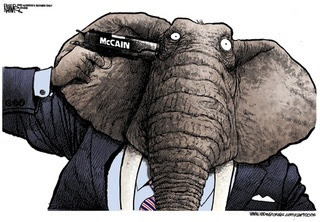 So, voting my conscience aside, my intellect cannot even wrap its mind around a McCain vote. Ron Paul represents a very ardent group of people. A group that the media cannot ignore forever. I believe that McCain would not just be a bad president, but that he would put the final nail in the coffin (built by Bush) for the conservative movement. And no, I’m not talking the Huckabee, liberal spending, neocon, Jesus-centered conservative movement. I’m talking about the growing unrest with liberal spending, liberal financial policies, etc, etc. The conservative movement with whom Ron Paul’s message resounded so well. Small Government. Low Taxes. Decreased Spending. Neutering the Fed. A reasonable foreign policy. No empire building. No policing the world. Stabilizing the economy so that free markets can work unencumbered. This conservative movement is the antithesis of both the current Republican power-wielders, AND the democratic party. McCain’s lunatic Bush Extreme policies would usher in 30 years of democratic control of the country…during which we would likely lose all ties to true democracy, and become a socialist state. Speaking of socialism, I don’t believe I can vote my conscience and vote for Hillary, and I’m sure I can’t vote for Obama. Despite the fact that Clinton has a MORE conservative voting history than McCain. But I’m not sure that sitting out an election is a socially or civically responsible thing to do either. It’s our responsibility as Christians to help redeem the world, and be productive and helpful members of society…participating in all our civic duties. This is quite a predicament. What does one do when there really isn’t a lesser of two evils? The evil is equitably distributed amongst the candidates. 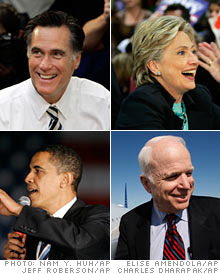 Who does an evangelical, conservative Christian vote for?